Fast, Detailed and Proven Accuracy!!! Psychic Readings from an expert in the field of Divination and Esoteric Studies. Find out the difference a direct connection makes. I am Dean of a College of Spiritual Awareness and Divinitory Arts. I am the one the psychics come to for training and advice. Many of my clients are political leaders, stars, and affluent members of our community. I have been a spiritual counselor for over three decades and have been seen on television, heard over many radio interviews, and the subject of many magazine articles. I am a published author, and accomplished writer. I have been successful in helping authorities find lost persons, as well as helping clients find keys, pets, and lost loves. My life has been dedicated to helping others find their way to their true path. Many Angels guide me in this endeavor and provide me with the information I need to fulfill this destiny. 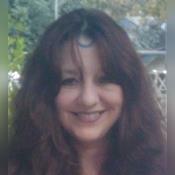 I am a Reiki Master and Archpriestess, with a Master's degree in Esoteric studies. I've been psychic since I was 5 years old. God has spoken to me all my life. I live in deep connection to spirit within a tabernacle sanctuary, and converse with those across the veil daily. I can connect with you spirit guides, or another's and tell you what is happening and what will happen if things continue on their current path. I can also contact departed loved ones, review your past lives, relieve you of emotional blockages and karmic debt, and retrieve lost pieces of your soul if need be. I can do everything from repair broken souls, to just pointing out the right direction. Find a secret key to your perfect future. Call me now. not sure on this. reading indicated good money, but where is it coming from? no windfall. thanks bella, hope all goes just the way you saw, only better. I am a bridge between the worlds. I have full access to the Akashic Records, Spirit Guides, Angelic Messengers, and Ancestrial Spirits. I have been speaking to God and those in the unseen realms my entire life. Everyday we pray, in many different ways, for our needs to be met, for our dreams to come true, and to understand the chaos of happenings around us. Spirit tries desperately to communicate with you, like the mother trying to comfort her young, nonspeaking infant. 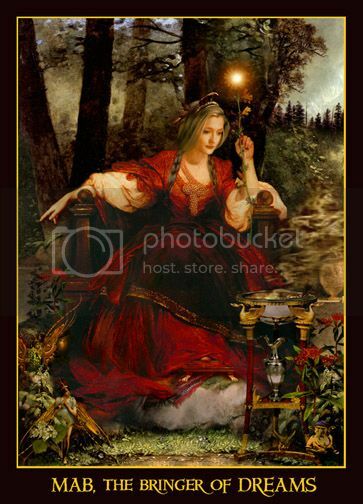 Spirit knows what you need, and tries to comfort you with messages of love and revelations that bring understanding. I hear these messages. I can interpret the language of spirit. I can read the symbols and signs, whether they be given to you while you are sleeping or fully awake. I can tell you if your lover is true, if your money is secure, if you should take advantage or that great new opportunity or wait for curtain #2. Call me for clarity, direction, and healing, and then pray with me for the change you seek. Stop Guessing! Knowledge is Power! Call NOW! I am a long time, FULL-TIME reader on Keen. See all my feedback here. You may recognized me from ABC-TV! I have been a professional spiritual counselor, healer and psychic for over 25 years. Now considered an expert in the field of Metaphysics and Occult studies, my abilities are honed to amazing accuracy. I am a published author, a licensed minister, a master teacher, a Reiki Master, a licensed Reverend, and the Dean of a state recognized college of Theological Studies. I have been featured on ABC-TV, Lifetime Television, and radio shows, and am sought out as a spiritual guide, and inspirational speaker. I will use all my powers to help you! Each call earns you FREE MINUTES! CALL NOW! **A Note to my fellow Psychics - I'm not competitive. I believe that each of us is called here by God to help those who come to us. If you need help, don't hesitate to call me. I am a college professor, who is used to helping people of all faiths and disciplines, and have no problem helping you fix your energy after a difficult call, connect or shield better, or whatever you need to help you do a better job for all our clients. If you want to use your minutes for tips and tricks, healing, or education. I will help you. Belladonna Laveau APs has been a user of Keen since 2009. Getting Tarot Readers advice from Belladonna Laveau APs through www.keen.com is safe, secure and confidential.